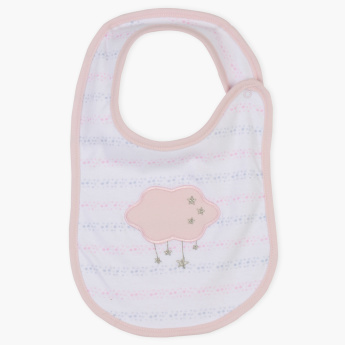 Embroidered with adorable cloud design and sporting an attractive print, this bib will look lovely on your little one. You may rest assured that any food spills will be immediately soaked up, thanks to the bib's absorbent and soft material. 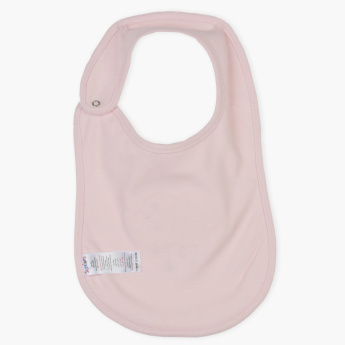 The bib features a press button closure, making it easy to wear.